Rushing rivers and soaring mountains make for a beautiful road trip, but when it comes to widening and improving highways, those same breathtaking features can pose an incredible challenge. Few highways in BC are more beautiful or challenging than the Kicking Horse Canyon along Highway 1. 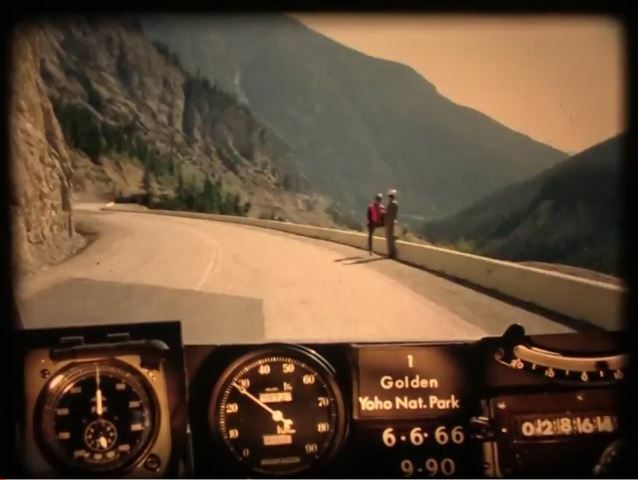 Constructed through Kicking Horse Pass in 1962 and following basically the original Canadian Pacific Rail route, this portion of the Trans-Canada Highway reaches its highest point at an elevation of 1,643 metres or 5,390 feet. That’s a pretty steep mountain. Add in the Kicking Horse River running alongside the road and you begin to see why this stretch has remained two lanes for so long. There was simply no room to grow without a large dollar value attached to it. We are thrilled to announce that funds are now in place to tackle the most difficult and expensive phase of the Kicking Horse Canyon Project, from West Portal to Yoho Bridge. Construction cost will be one of the most expensive in the province’s history per-kilometre and will include the four-laning and realignment of four kilometres of highway, requiring a combination of bridges, retaining walls, rock catchment ditches and other measures to reduce rock fall hazards and bring the road up to a modern four-lane standard. Funding has also been secured to four-lane highway 1 between the Donald Weigh Scale and Forde Station Road (about 20 kilometres west of Golden). 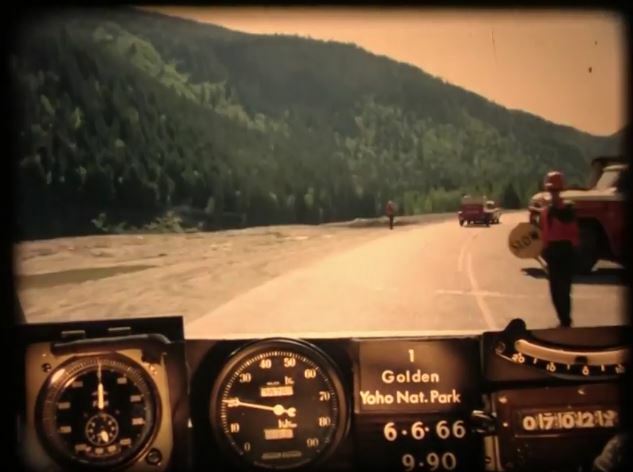 We’ve fired up our Road Trip Time Machine to show you the road as it was in 1966 and to help you imagine where we are going on this important route in the future. Learn more about our photologs and see other BC Road Trip Time Machines here. The Trans-Canada Highway is the primary east-west connector through British Columbia, our main gateway to the rest of Canada, and a vital route for travel, tourism and trade and BC Highway 1 (between Kamloops and the Alberta border) is being improved as a part of a 10 year transportation plan. Do you have any questions about this, or any other work we do? Let us know in the comments below or connect with us on Twitter or Facebook. Kicking Horse Pass and River were named after James Hector, a naturalist, geologist, and surgeon who was a member of the Palliser Expedition through the area in the mid 1800’s. Hector was kicked by his horse while exploring the region, knocked unconscious and believed dead. Luckily for Hector, he fully recovered but the horse story stuck and the area came to be known as Kicking Horse. Now you know. 26 Responses to What is So Important about Phase Four of the Kicking Horse Canyon? I’m with Bryan Notheisz, so I have started a petition to try to motivate the politicians to get this done faster. If you travel this route please help us out by signing our petition at this link: http://chn.ge/2zAxqjd called “Mr Horgan and Prime Minister Trudeau: Make twinning the TransCanada Highway in BC a priority”. I am wondering if there is any consideration given o the small herd of mountain sheep who are frequently seen at the western end of the construction area for this work? Thanks for your question about the bighorn sheep that range around the Kicking Horse Canyon. I’m checking in with our project managers, and will get back to you here. Thank you for your inquiry about Big Horn Sheep at the Kicking Horse Canyon Project – Phase 4. Like for the first three phases of the Kicking Horse Canyon Project, the project team is working with government agencies and stakeholder groups to minimize potential impacts to wildlife populations and habitats. We encourage you to explore our project website — http://www.kickinghorsecanyon.ca — for more information on wildlife studies, as well as the wildlife mitigation measures utilized in the first three phases of the Kicking Horse Canyon Project. I am wondering if access to the Table Mountain trail will be included in the planning and building process? We’ve sent your question to the project team. Stay tuned. I’ve lived in Golden my whole life, often, the wail of ambulances keeps us up at night. I can’t imagine the nightmares of the first responders and families effected. I’ve been working with a type of excavator that hangs off a cliff on a cable, accessing extremely steep terrain. I’d like to speak with the project manger, there are many applications for this machine in a project like this that could reduce costs and significantly speed construction. Will this final section include any snowsheds? We hope that this helps. Please let us know if you have any other questions. Though this is great news I sure wish that this whole project would be taken off the twenty year timeline and put on the five year one. I’m a BC’er transplanted to Alberta, my family lives in Chilliwack and my mother-in-law is in Vernon so we often return via Highway 1 and then Alberta 93 and 11 (we live in Drayton Valley). I hate the drive for the most part as there is just too much traffic and not enough four lane. Has there been any consideration to vastly upping the schedule and adding tolls, perhaps at a couple locations? I think that given the rewards there might actually be some acceptance for this option. Thanks for your comment. As you know from driving it – this is challenging piece of engineering to build. The current schedule is based on an expedited process called design-build. At present we don’t think it can be accelerated any further. There are presently no plans for tolling in this corridor. We hope that this helps! Are there any plans to four-lane the stretch from Golden to Forde Stn. Rd.? I live in the Blaeberry and I find this stretch to be terribly dangerous with trucks and people illegally passing. Thanks for any insight! Any prospect of snow sheds on avalanche paths? If not, will there be provision for having two way traffic on one side of the central median (I assume it will be a hard median) to reduce the time needed to reopen the highway after avalanches? In the past this section has had some prolonged closures after avalanche events – which I understand are due to the need to truck out the debris as it can’t simply be bailed over the side because of the CP railway tracks below. Good questions Nick! We have sent them to the project manager and will let you know. We spoke with the project manager who informed us that there is a reference concept drawing on the public web site that shows the planned alignment and features (http://www.kickinghorsecanyon.ca/khc_phase-4.htm). The alignment is designed to avoid the areas of avalanche hazard, and accommodate rock falls in catchment ditches, like those used on the east approach to the Park Bridge. Who will be the contractor for rock scaling, rock bottling, mesh work? When will the slope stabilization part start? At this time a contractor for rock scaling, rock bottling and mesh work has not been selected. A Request for Proposals will be issued in the coming months for proponents interested in this Design-Build opportunity that would see construction beginning in 2019. Hope that this helps! Is there a website where the contractors awards the tender will be announced? And do you have a date chosen when the contract will be awarded? You can look on BC Bid for tender award announcements – unfortunately the date of announcement for tender awards is not set in stone. For a project of this size, we often prepare a news release announcing the award. Hope that this helps! Just heard on Global News that construction isn’t going to START until 2019. I moved the o Golden in 1966 as a child and always thought the “Canyon” was a treacherous piece of road and I recall traffic traveling through there at 20mph or less, frustrating the locals and the truckers on the Highway. What I noticed in the time machine video is th lack of on coming traffic, as well, th video does not reflect the narrowness of the Highway nor can you get a sense of how steep the canyon walls are. The upgrade of this stretch of Highway is long over due. In 1975 I travelling th Trans Canada Hwy all the way to Nova Scotia and this stretch of road, closely followed by the Roger’s Pass were by far th worst stretch of Highway. I am curious to know what happened to the plan for builinding tunnels through the mountain for this piece of the Kicking Horse Canyon ? Thanks for connecting with us here and sharing your memories.Tunnels were a consideration in earlier design concepts, however, further engineering during the preliminary design phase found more cost effective solutions that did not require them. I suppose better late than never. Give it another decade or three and you might get round to doing the accident prone sections of two lane highway either side of Revelstoke too.